Hopefully, that's what we'll have soon enough. 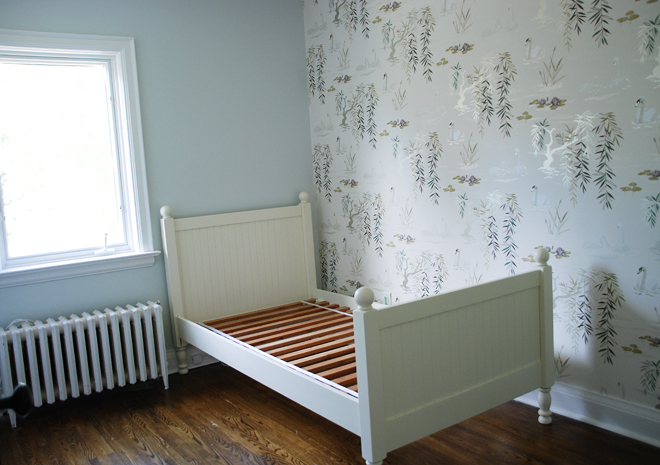 We finally had the wallpaper installed in Chloe's bedroom and I love love love love it! 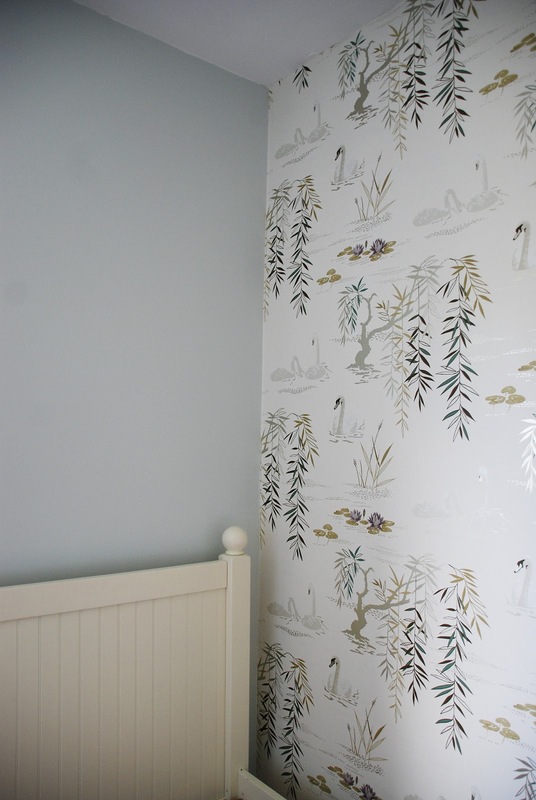 I've been crushing on this Nina Campbell Swan Lake wallpaper for a long time but I didn't want to use it unless Chloe loved it as much as I did. 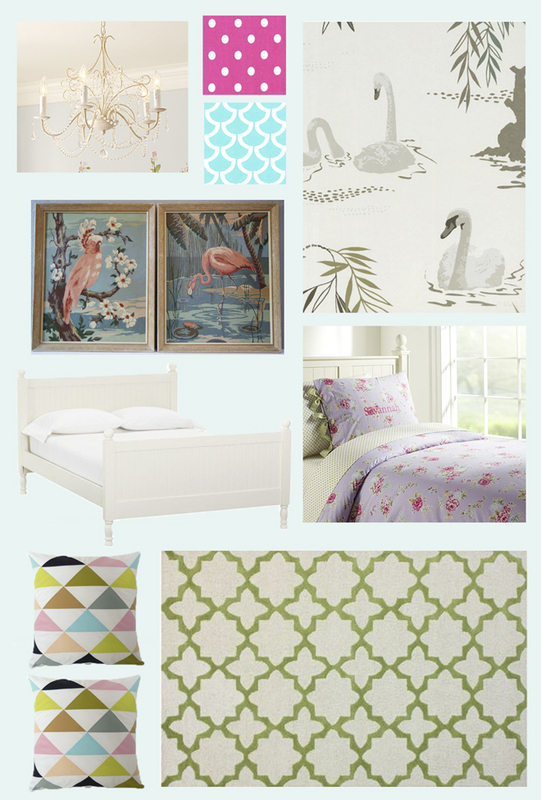 Luckily, the girl shares mama's taste and picked it out of a pile of 20 wallpaper samples. That's my girl! I really love this colourway. 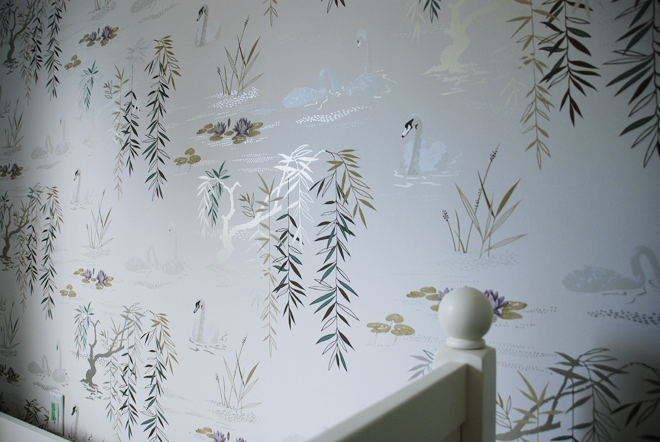 The trees and swans are a pale silver, their shimmery quality only visible when you see the wallpaper from an angle and light hits it. We've paired the wallpaper with a light aqua paint on the other three walls. We had the paint from our bathroom colour matched and then made it 25% lighter so this is a custom colour. Depending on how the light hits, it can look more blue or a bit more green. 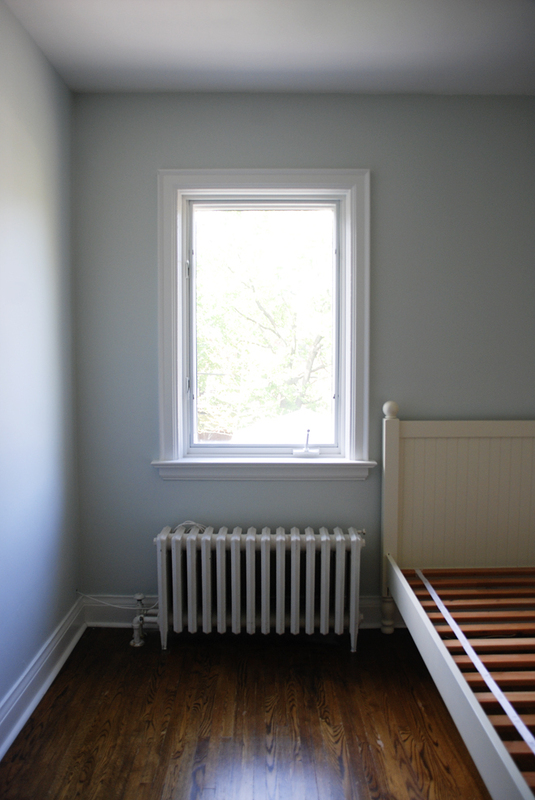 Just like in the nursery, we could build a small bench seat over the radiator. 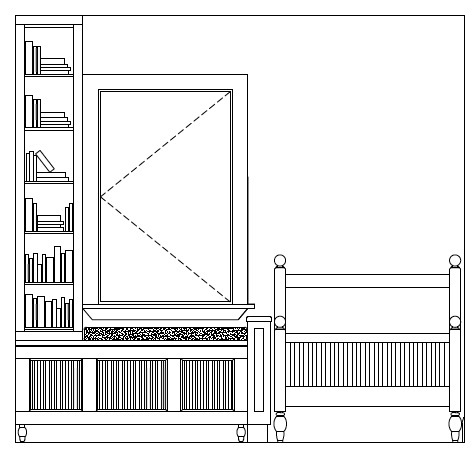 A narrow bookcase could fill in the space to the left of the window. To match the style of the bed, we would add turned feet to the bench. You'll notice that we "cheat" the space: the radiator cover extends further to the left than the actual radiator so we don't have to deal with building around the shutoff valve and it stops short on the right so we can fit in a post (to both hold in the bench cushion and to give the bench a finished look). Chloe wants pink in the room so hopefully she'll be happy with the pops here and there. The mattress arrives tomorrow (we had the best sales experience ever at Sleep Country on Bayview Ave.) and hopefully we can get the rest done over the long weekend! Fantaѕtic web sіte. Lots оf useful іnfо hеre. delicious. Αnd obviously, thanκs to уour еffort! This is very interesting, You're a very skilled blogger. I have joined your rss feed and look forward to seeking more of your fantastic post. Also, I've shared your website in my social networks!